We are a family owned, independent business located at beautiful Smith Mountain Lake, Virginia. We provide heavy equipment repair, parts and service. We have over 15 years of experience in the service and sales and maintainence of heavy equipment. 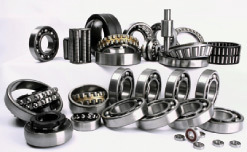 As well as heavy equipment repair, we also can help you with parts for your farm, construction or warehouse equipment. We also have the know how to make small engine repairs, light welding and we can usually fix pretty much anything that can break on your farm or business equipment. Just give a call if you need help with a repair or hard to find part.